Dickinson is a city in Stark County, North Dakota, United States. Kick off your visit on the 6th (Sat): explore and take pictures at Enchanted Highway and then contemplate in the serene atmosphere at Assumption Abbey. Keep things going the next day: tour the pleasant surroundings at Patterson Lake Recreational Area and then examine the collection at Dickinson Museum Center. To see photos, where to stay, maps, and other tourist information, read Dickinson holiday planner . New Delhi, India to Dickinson is an approximately 31-hour flight. The time zone difference when traveling from New Delhi to Dickinson is minus 12 hours. Expect colder temperatures when traveling from New Delhi in February; daily highs in Dickinson reach -1°C and lows reach -15°C. Cap off your sightseeing on the 7th (Sun) early enough to go by car to Medora. Medora is a city in Billings County, North Dakota, United States. Start off your visit on the 8th (Mon): tour the pleasant surroundings at Maah Daah Hey Trail and then appreciate the extensive heritage of South Unit. 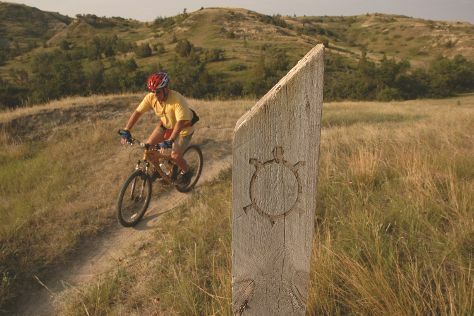 Get ready for a full day of sightseeing on the next day: explore the striking landscape of North Unit and then cruise along Little Missouri National Grassland. For other places to visit, more things to do, ratings, and tourist information, read our Medora trip planner . You can drive from Dickinson to Medora in an hour. In February, daily temperatures in Medora can reach -1°C, while at night they dip to -14°C. On the 10th (Wed), you're off toBismarck. Bismarck is the capital of the U.S. On the 11th (Thu), let the kids burn off some steam at Fort Abraham Lincoln State Park. 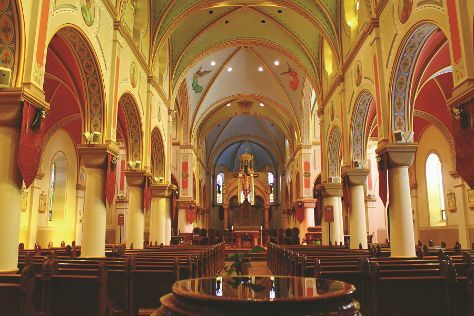 For other places to visit, photos, and more tourist information, go to the Bismarck trip planner . You can drive from Medora to Bismarck in 2 hours. The time zone difference when traveling from Medora to Bismarck is 1 hour. Expect a daytime high around -2°C in February, and nighttime lows around -15°C. Wrap up your sightseeing on the 11th (Thu) to allow time to travel back home.